It’s National Bourbon Day, and what better place to celebrate than Kentucky. O.Z. Tyler Distillery in Owensboro is the only distillery actively producing bourbon and giving public tours. 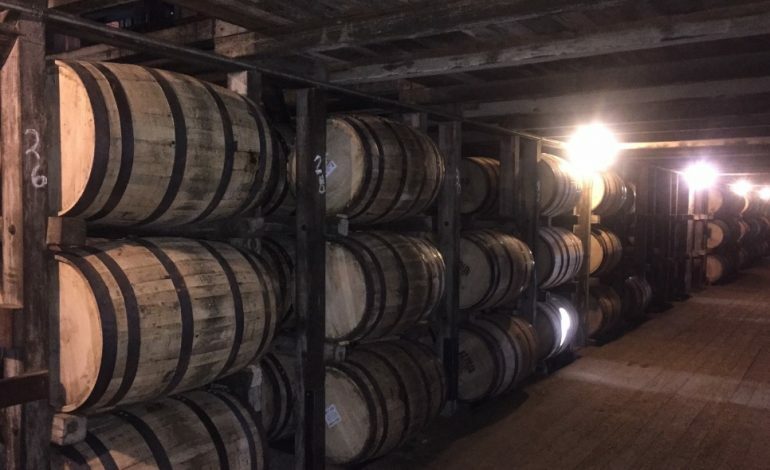 The distillery produces more than 100 barrels of bourbon a day. The master distiller said they house more barrels of bourbon than there are people in the city of Owensboro. O.Z. Tyler Distillery opened on September 1, 2016. It’s named for Orville Zelotes (O.Z.) Tyler, the co-inventor of the company’s patented TerrePURE accelerated aging process. Tastings and tours are offered Monday through Friday at 11 a.m. and 2 p.m. for $10, and on Saturdays at 11 a.m., 1 p.m. and 3 p.m. The distillery is located at 10 Distillery Road in Owensboro. There’s also a gift shop open Monday through Friday from 10 a.m. to 3 p.m. and Saturdays from 10 a.m. to 4 p.m.
For more information, visit O.Z. Tyler Distillery.